The World of Gord: "Defending the Inland Shores" by Gordon K. Jones - Now Available at Amazon and Indigo! "Defending the Inland Shores" by Gordon K. Jones - Now Available at Amazon and Indigo! Congratulations, Gordon! It is my own dream to be an authoress and to publish. You have to feel great right now! Carolyn. When I saw that Teena had reviewed this book last week or so, I saw the author name and thought "cute coincidence." Now I feel like an idiot! I had no idea you had been working on this! I'm so excited for you and can't wait to read it. Sheepishly, I admit not knowing anything about this subject matter. Growing up in Newfoundland, I chalked my lack of knowledge in Canadian history as a product of our province's schooling which (at that time anyway) emphasized Newfoundland history over Canada-wide history. But that, as it turns out, does not seem to be an excuse for my ignorance about this unexpected intersection. Can't wait to read it! Congratulations! Carolyn, I do. It took a lot of work but it was all worthwhile. Hopefully one day I'll be able to be buy one of yours. John. Thanks! I really appreciate it. I hope that you do enjoy it! 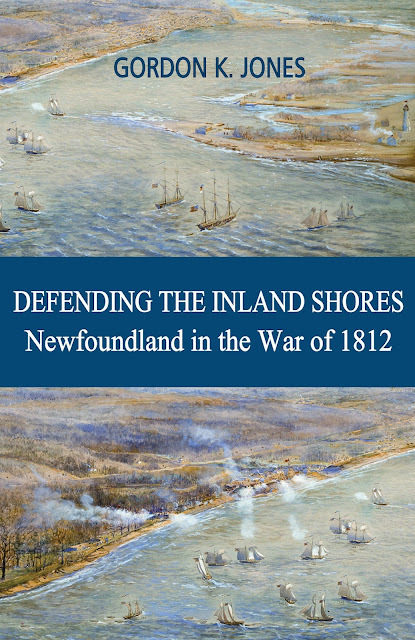 I really am surprised that not many Newfoundlanders know about their contribution in the War of 1812.